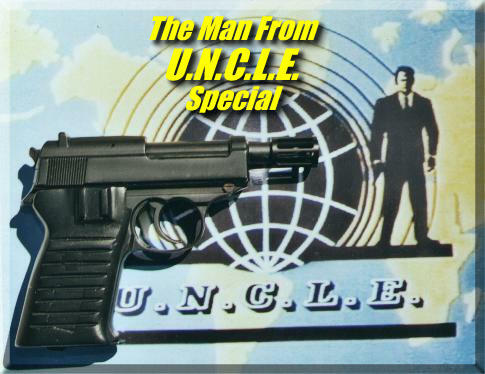 CLICK HERE FOR AUTHENTIC REPRODUCTIONS OF THE U.N.C.L.E. 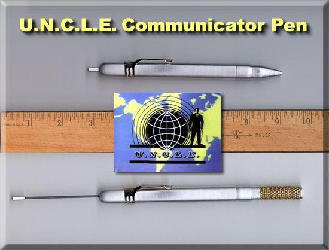 COMMUNICATOR PENS. CLICK HERE FOR AUTHENTIC REPRODUCTIONS OF THE U.N.C.L.E. SPECIAL P-38 PISTOLS. CLICK HERE FOR AUTHENTIC REPRODUCTIONS OF THE U.N.C.L.E. 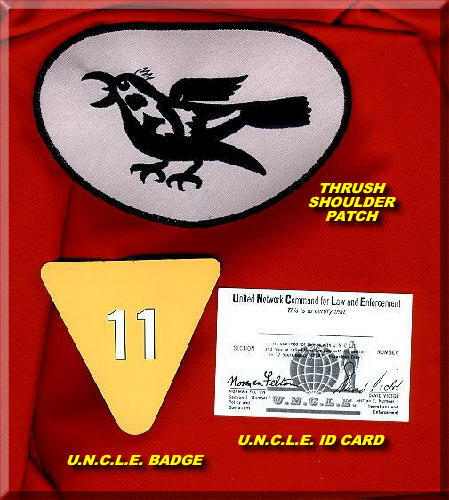 ID CARDS, BADGES AND THRUSH SHOULDER PATCHES. CLICK HERE FOR EXCLUSIVE PHOTOS AND POSTERS SIGNED BY NAPOLEON SOLO HIMSELF - ROBERT VAUGHN!